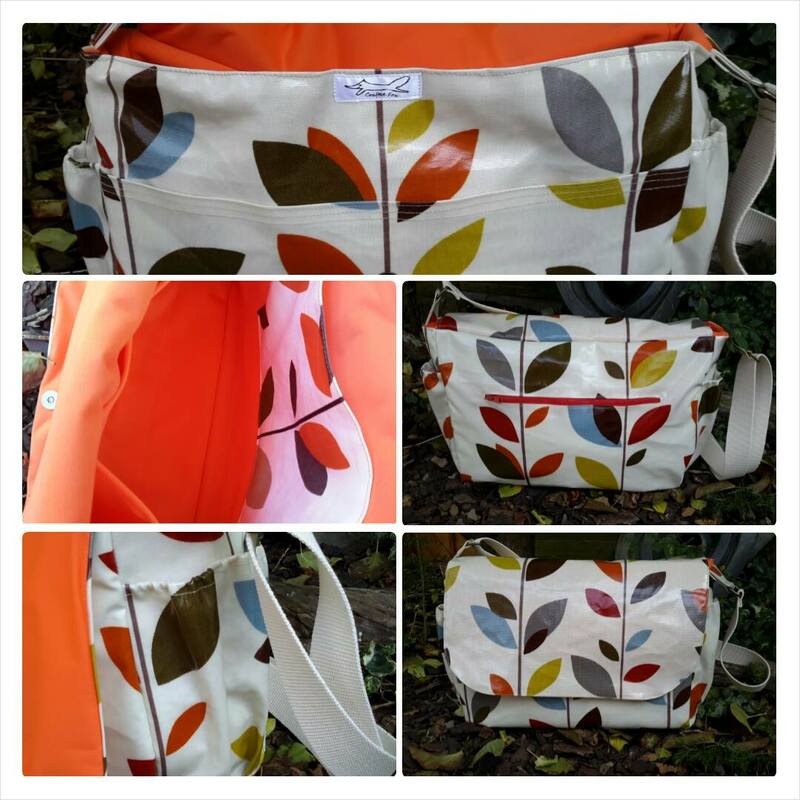 I’m loving this oilcloth change bag I made recently. Made to order, its a messenger bag with lots of pockets. Vital for a change bag. As well as an outer zip pocket on the bag, there are two pockets for bottles and a larger pocket in the front. Inside are lots of pockets too. The problem is remembering where things are. To close it has two sets of magnetic snaps – one for full and the other for very full!! Versatile yet pretty. Perfect. 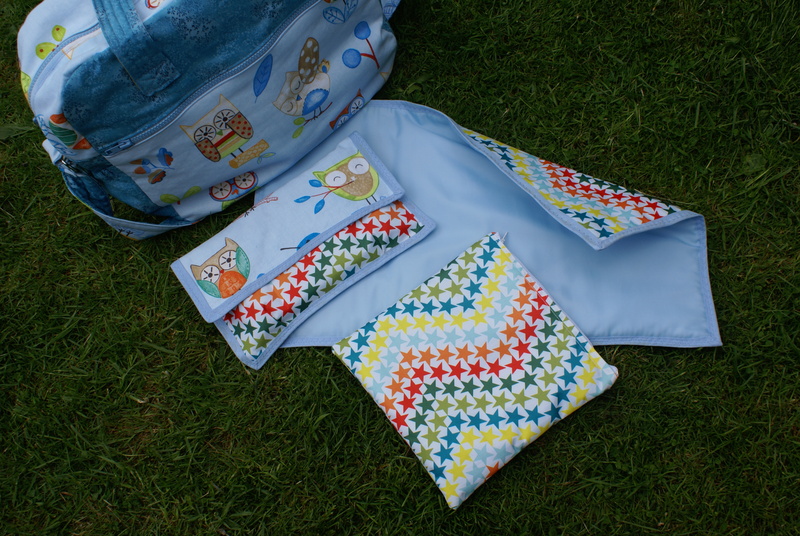 This bag isn’t oilcloth, but was also made to order as a change bag and came with a change mat and pouches to carry wipes and nappies. 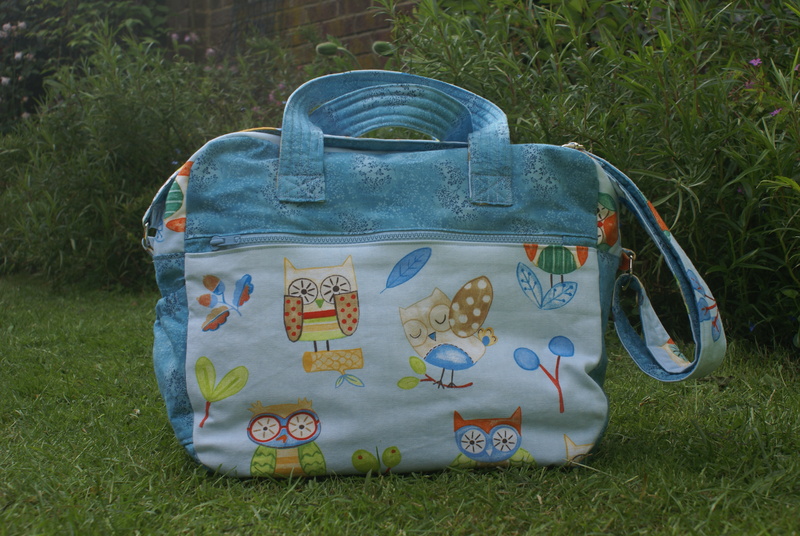 All bags were made to order and range from £35 – £55, depending on fabric and size.